The culture of socialisation and debating on social issues has always paved the way for acquiring new learnings. The recent verdict on Sabarimala row was an inevitable topic among us. The debate was around for a long period of time and our friends from Kerala, especially girls, have always taken up the debate enthusiastically, albeit with the majority view being that women entry to the temple should be allowed. Dissenting the Supreme Court judgment, the only female judge in the five bench panel, Indu Malhotra commented, “Issues of deep religious sentiments should not ordinarily be interfered by the Court. The court should not interfere unless if there is any aggrieved person from that section or religion. The notion of rationality should not be seen in matters of religion.” She also held that shrine and the deity are protected by Article 25 of the Constitution of India. The comment of the only female judge present in the panel was soon taken up by various religious groups and right wings groups dissenting the judgement, gave stress on the religiously sensitive side of the issue. According to Malhotra, Judiciary has no right to interfere in the religious matter. When issues pertaining to a certain community or a group of people are subjudice, the necessity to have someone representing the community in the judiciary is the common practice. We might think that the judiciary followed this rule but at the end of the judgment, it failed on the rationale. In our view, the SC judgment, based on rationality and constitutional morality, failed to suggest a way for implementing the verdict in the already tension prevailing state. The celebrated judgment also failed to take into account the lack of facilities, representation of women in Devaswom boards, temples, priesthood and provisions of security. The sense of history is something that the current movement regarding the issue of women entering Sabrimala, lacks. The current issue is to be seen in relation, without detaching it from, the history of the fight for temple entry by both Dalits and women. In the rush for saving a culture through which patriarchy is getting reinforced, we forgot Nangeli, we forgot Sahodaran Ayyappan, we forgot Periyar and Dr. Ambedkar. Temple entry is not an issue of saving religious practices in modern times, it is a historical battle which began from the colonial period and still goes on. The fight for temple entry in India started with the Vaikom movement lead by Sahodaran Ayyappan to Babasaheb Ambedkar’s struggle for temple entry in the Kalaram temple and can be seen to connect today to the Sabarimala temple. The so-called ‘upper caste’ temples, have always denied entry to Shudras and Ati-Shudras. Even in Kerala, the Nair community were kept out of enjoying the right to pay worship at temples. We can see the denial to Shudras and Ati-Shudras, Nomadic tribes and tribals being denied entry in temples in purview of the caste system and its tenets, the issue here is, why women of menstruating age including upper caste women are also being prohibited from entry. Why the entry is restricted to just men and women of non-menstruating age. Renaissance Kerala running behind God Ayyappan has literally forgotten Sahodaran Ayyappan and the struggle for temple entry. The teachings and preachings of the forefathers and the great social reformers Kerala has witnessed are not being acknowledged in the Sabarimala row. The judgment was not aimed at social reform nor did it happen with the judgment. Only the aggressive and patriarchal nature of the society got unmasked through the verdict. Vaikom, a small town located in the central part of Kerala, was then the part of the Princely state of Travancore. The Mahadeva temple was one of the temples out of several hundred in the state where the untouchables were denied access. The social reformers who actually staged the protest for temple entry were T.K.Madhavan, K.P.Kesava Menon, Kelappan, K.G.Nair, A K Pillai, K Velayutha Menon, K K Sankaran Nair and George Josef. George Josef invited the great feminist and anti-caste activist Periyarswami Naicker to lead the movement and Periyar joined and successfully lead the movement. Ramasamy Naicker was banned from entering the Kottayam district by the district magistrate’s court, ‘to prevent probable riot’. K.Ayyappan and Periyar other were the key players in the whole movement. The King, restricted them for speaking in public spaces. Kerala has always had great social reformers including Nangeli whom the Kerala society is forgetting. The focus of the present row is isolated around women. The women leaders of the past cannot be kept aside. The present society should know these figures from its history, whose names to be printed in textbooks and records might take another half a century. One of the activists from the Vaikom movement, Kalyani, called it, ‘A struggle for one of the fundamental rights of human beings.’ The only question we would like to raise is the Kerala society’s consciousness regarding the contribution of S.Ayyappan and Periyar and his wife’s struggle. Periyar was imprisoned and treated like a criminal in the central jail. Finally, on November 23, 1925, the agitation ended. It was Periyar and S.Ayyappan struggle for us. Can we revisit our history which tells us the real stories of our struggle? “The most outstanding events of the year concerning the struggle of the depressed class was the satyagraha or the passive resistance sponsored by Ramasamy Naicker, a Non Brahmin leader at Vaikom in the Travancore state for vindicating the rights of the untouchable to use the road to which they were forbidden entry. Its moral pressure and the spirit of righteous assertion had a tremendous effect, and the orthodox Hindus, for a while regained their civic sense and sanity and the road was thrown open to the untouchables. While leading the greatest movement against varnshrama, Dr.Ambedkar maintained an accord with the movement in the south and supported such assertions against the cruel practices of Brahmanism. After discussing the Sabarimala issue and the Vaikom movement, one can come to an understanding of the hate against women and classify whether it is just another gender-related issue or something much deeper. One can find the answer to the question in Dr.Ambedkar’s writing. Dr.B.R.Ambedkar wrote in “caste in India, on women’s oppression. He mentions three points on women’s oppression, from three historical perspectives. (i) Sati or the burning of the widow on the funeral pyre of her deceased husband. (ii) Enforced widowhood by which a widow is not allowed to remarry. (iii) Girl child marriage. Dr.Ambedkar was the first man who tried to understand the caste system through women’s oppression. Apart from him, Sir Denzil Ibbetson I.C.S and census superintendent of Punjab (1881) to L .S.S.O Malley ICS (1934) and other Indian sociologists too, observed the caste system during the census and theorised the caste system while they were looking at the endogamy system, but nobody tried to know reason of the oppression. Dr.Ambedkar, later said, I know no scientific explanation of the origin of these customs is forthcoming even today. We have plenty of philosophy to tell us why these customs were honoured, but nothing to tell us the causes of their origin and existence. Sati has been honoured because it is a “proof of the perfect unity of body and soul” between husband and wife and of “devotion beyond the grave” because it embodied the ideal of wifehood”. Later Dr.Ambedkar says, “Endogamy is the only characteristic of Caste and when I say origin of Caste I mean the origin of the mechanism for Endogamy.” For maintaining the endogamy system, they control women’s mobility. For the caste society to be maintained and to save religious notion, women mobility will always restricted. In South Asian context, caste is one of the biggest problems. Through the endogamy, caste is maintained in society. Understanding this factor is the reason that when Mahatma Jyotiba Phule started to work for social reform, he gave importance to women education. He gave more thrust to women’s education. That is why the 14 year old Mukta Salve could question the religious texts and priests. Later, Dr. Ambedkar also fought for women’s emancipation. In lieu of this, it is very disheartening to know that women in Kerala themselves supported the agitation against temple entry which is led by Nair males. India has always moved in two paths. One way is the revolutionary fold and the second, the counter-revolutionary fold. Those seeking complete social reform, have a big challenge before them, as they have to fight caste and gender at the same time. The bahujan women must know this for their emancipation, for when the women will rebel, then the destruction of the caste system won’t take long, and this was understood in their struggles by Jyotiba and Savitribai Phule, Periyar, Babasaheb, Basweshwar, Ayyankali, Kanshiramji and countless other bahujan icons. 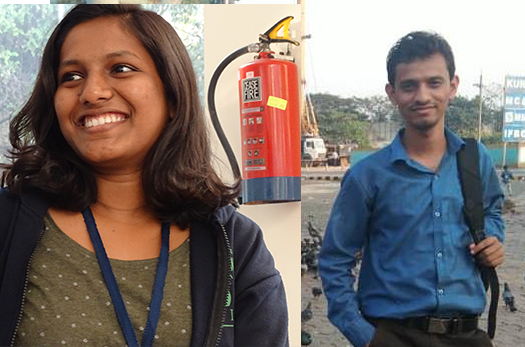 K Swathi Sivadas and Mayur Kudupale are students at TISS, Mumbai. Their interest areas are caste, social positioning of women, social inequality and mental health.